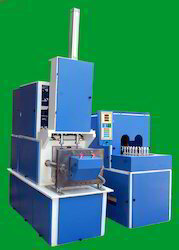 Manufacturer of a wide range of products which include bottle & jar machine and plastic jar machine. Production Capacity 200 ml to 5 ltr. Supported by the team of punctilious professional, we are counted as major manufacturer and exporter of Bottle Jar Machine. These machines being highly resilient and efficient have profound use in bottling plants for manufacturing bottle jar. With the use of pioneer technology and fine grade materials, we are fabricating these machines in wide specifications as per customers' requirements. 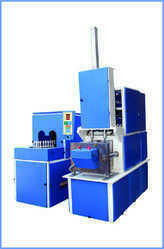 Moreover, for serving vast customer base, we provide these machines at competitive market rates. We are a trustyworthy organization offering a wide a gamut of Plastic Jar Machine.